La Bella means “the beautiful” in Italian. All people are beautiful and deserve a beautiful and tranquil accommodation to rest after a stressful working day or to relax during a well deserved holiday. 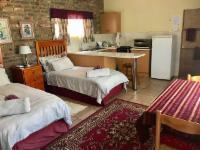 The ideal accommodation for business and government representatives and weekend or holiday guests. Our mission is to serve friendly and warm hospitality to all our guests. 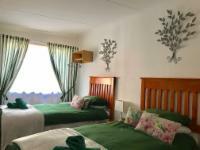 La Bella offers 3 crispy clean and comfortable bedrooms with en-suite bathrooms and 1 self-catering unit with a full en-suite bathroom. Complimentary coffee and tea in rooms. Tasty breakfasts included. Safe parking. Situated near all businesses and close to Forever Resort. Breakfast was lovely. Staff friendly and very comfortable stay. Such a lovely place to stop over. Delicious breakfast and beautiful tree. 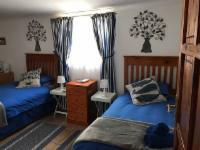 La Bella B&B Under the Fig Tree is 0.6km from the centre of Golfbaanpark , the nearest airport 105.4km (Waterkloof AFB Airport).